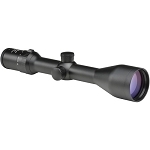 The 4-16x44 ZD Tactic Riflescope from Meopta combines a nitrogen-filled aerospace aluminum housing with a fully multicoated 30mm optical path and an illuminated Mil Dot reticle, creating a close to mid-range tactical optic ready to deliver weatherproof performance. 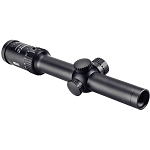 This scope's one-piece housing is machined from aerospace aluminum and anodized for increased corrosion resistance. Each lens is multicoated with Meopta's proprietary MB5501 anti-reflective coating to maximize light transmission and enhance image contrast throughout the zoom range. 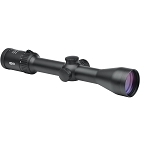 The scope's 4-16x magnification range is ideal for both eyes open techniques and fast target acquisition. 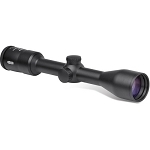 Complementing the durable housing and high-transmission optics, the ZD Tactic 4-16x44 scope features MeoTrack II posi-click windage and elevation turrets that provide tactile and audible feedback that confirms the 0.5 mil impact point corrections without requiring the observer to take their eye off the field of view. These turrets also employ an improved erector that uses positive resistance to ensure precise adjustments and maintain zero even when subjected to the rapid recoil. 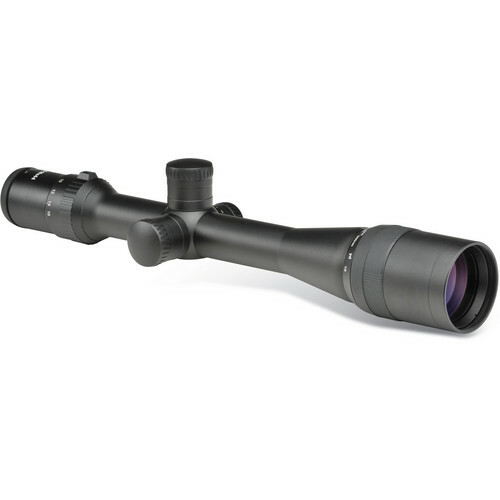 Further equipping this ZD Tactic riflescope for years of service, the exposed surface of the objective and ocular lenses are multicoated with a MeoShield abrasion resistant coating that protects against light scratches and helps moisture roll off the lens surface. The final elements in the MeoPro optical path belong to the MeoQuick fast-focus eyepiece, which enables rapid focus adjustment in addition to rendering edge-to-edge sharpness and a comfortable 3" eye relief at maximum power. 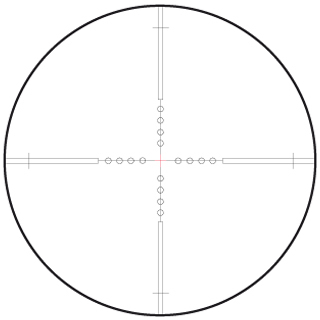 Each ZD Tactic riflescope is assembled in the USA and backed by Meopta's North American Lifetime Transferable Warranty. Author Paul Panella takes the ZD 4-16x44 Mil Dot Special out to the range and comes back with more than a few favorable impressions. "The bottom line is that the ZD 4-16X44 RD delivers like a top-tier European optic at a mid-level price." This beautiful piece of optical engeneering is simply amazing! After an easy sighting, first shot at the gong @ 800m was a hit. Accurate repeatable adjustments. This scope is a work of art. Outstanding glass and adjustments. Excellent in low light, easily kept up with my Zeiss Victory. Unfortunately it was more scope than I needed or anticipated so I returned it. Absolutely World Class top shelf optic!